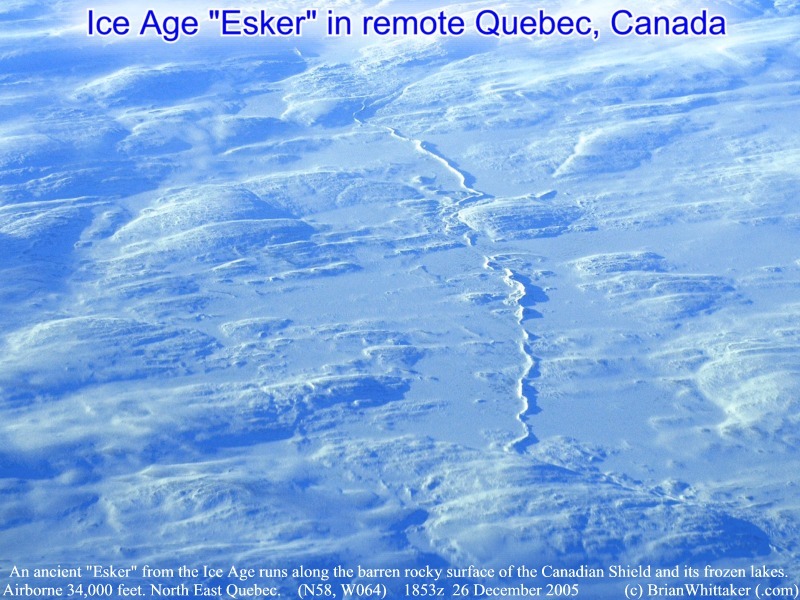 An ancient "Esker" from the Ice Age runs along the barren rocky surface of the Canadian Shield and its frozen lakes. Even while airborne from 34,000 feet, this esker was easily visible because of the long winter shadows of the Canadian north. There are numerous eskers throughout Canada and the northern USA. This one is in north east Quebec, almost touching the Labrador border, near N58, W064. Have a look at this interactive map [Map]. [More on the Esker] December 26, 2005. [800x600].